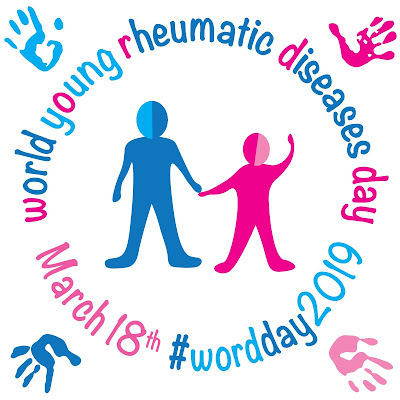 Today is the first ever WORD day - a day of awareness for children and young people living with rheumatic diseases (including Juvenile Idiopathic Arthritis which Miss T has suffered from since the age of 2). One of the things that I've found myself feeling somewhat angry and upset about is that when I was diagnosed with JIA back in 1987 (or Juvenile Chronic Arthritis as it was called back then), the main thing people would say to me when I told them why I was on crutches was "Arthritis? but I thought only old people got arthritis". It made it a lonely place to be as a 10 year old with such a lack of understanding and awareness in the world around me. Fast forward to 2015 and Miss T's diagnosis of JIA. I had truly hoped things would be different in the 3 decades that had elapsed since my own diagnosis. But the main statement we heard time and time again in response to hearing of Miss T's JIA...you guessed it..."But I thought only old people got arthritis!" That is why the introduction of WORD day is so important. It is not only to help all those suffering day in day out with their condition feel a little less lonely and a little more understood but crucially with greater awareness comes quicker diagnosis and treatment, and receiving prompt treatment can make a huge difference in the longer term outcomes for these children. In my own case, it was over a year until diagnosis and by then the damage was done resulting in me needing a hip replacement operation. We know Miss T was one of the lucky ones with prompt diagnosis and treatment enabling her to live a much fuller childhood than I had. But JIA still throws its curve balls at us, whether it is the sickness and side-effects that her medication causes, the threat of regular childhood illnesses like chicken pox landing her in hospital, or the ongoing mystery foot issue that no-one seems to be able to explain. 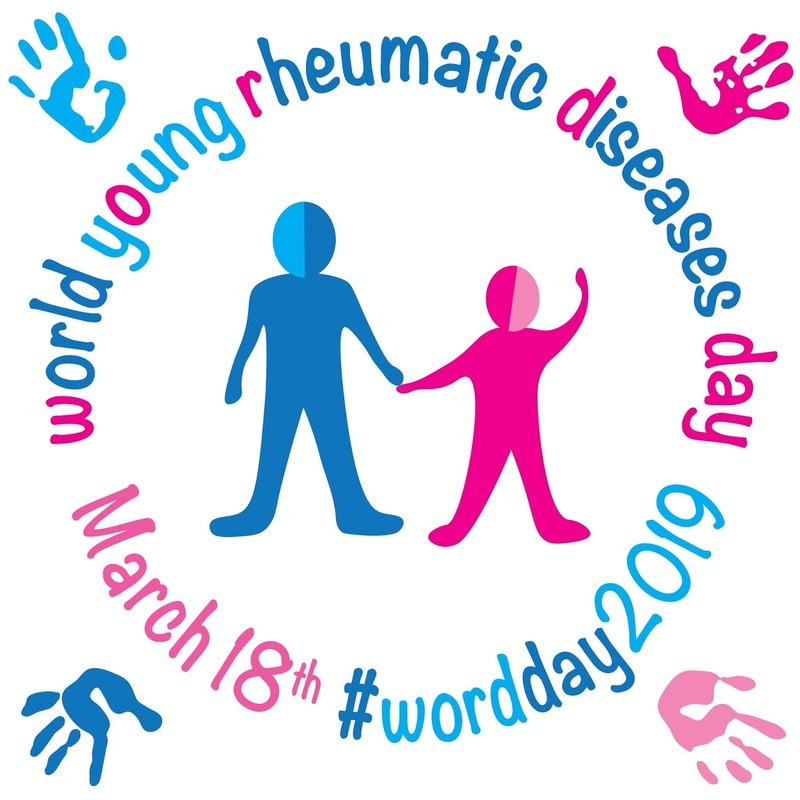 So today we celebrate the bravery of these children, we stand with them to show we care, we shout out to the world that children and young people get rheumatic diseases too! 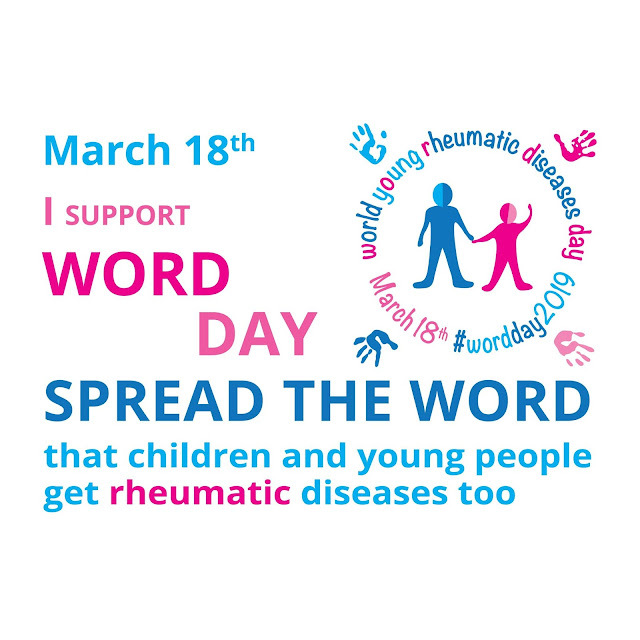 If you want to show your support, join the #WordDay2019 tweet chat between 6pm and 7pm (GMT) TODAY (18th March 2019) @wordday2019 on twitter. If you want to find out more about Word day have a read of this brilliant blogpost by Simon Stones. 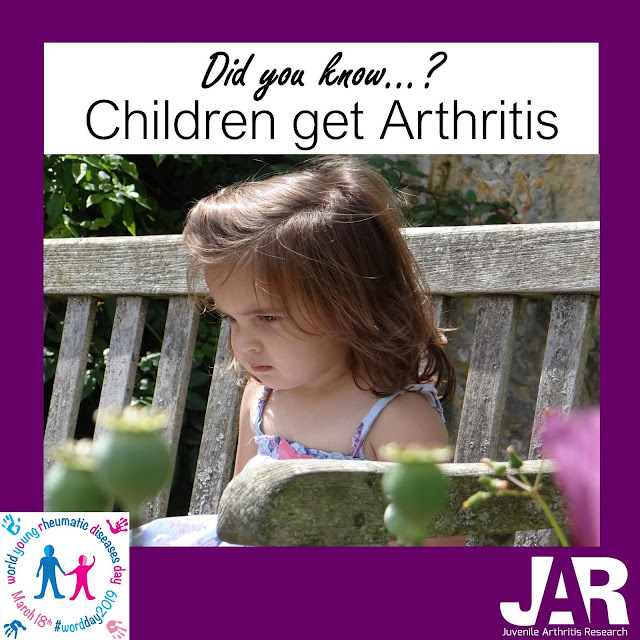 Juvenile Arthritis Research will also be sharing case studies and stories of children with JIA on twitter throughout the day. This is the age Miss T was when she got arthritis. 2 years old. Children of all ages can get arthritis and rheumatic diseases. Help spread the WORD.